The wait is finally over. 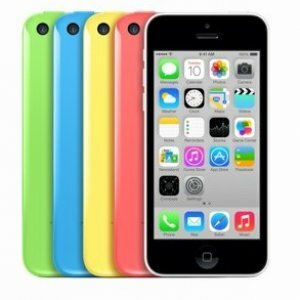 Apple’s two new models the iPhone 5S – which it has termed as the most secure phone ever - and the not-so-budget iPhone 5C with a plastic-build are finally out. The budget iPhone 5C will be ‘budget’ depending on which part of the world you live in and how strong your local currency is, vis-a-vis the US dollar. The iPhone 5C will cost $549, that is Dh2,000 (approx), off contract. Off contract is the phone not linked to a telecom service provider’s plan. This means that all Apple die-hards here in the UAE and elsewhere, will have to shell out Dh2,000 at least to get their hands on the iPhone 5C now. On September 20, the two devices will go on sale in the United States, Australia, Britain, China, France, Germany, Japan and Singapore. - The iPhone 5S will have 64bit A7 chip and will be 40 times faster than the iPhone5 and 65 times faster than the original iPhone. - The phone is made of high-grade aluminum with diamond-cut edges. - The phone will come in silver, gold, and space gray – a new introduction. Samsung Galaxy S4 Zoom: Sony, Nokia hit?